Home / Blog / How Many Words Are There in English? How may English words are there? It’s a simple question, but pretty much impossible to answer. The problem lies in determining what constitutes a word. Take almost any verb — call for example. Are the various forms of this word separate words (calls, called, calling, etc.)? And is the noun form of call a word distinct from the verb? What about the 33 separate definitions listed for the verb form by Dictionary.com, and the 31 definitions of the noun form? Is call one word or 64? And then there are idiomatic expressions using call, like call for, call out, or call in. These have unique definitions as compound expressions. Do they count as words in combination, or only as separate words? What about technical or scientific terms? Do we count the hundreds of thousands of chemical and medical terms that are unused in common parlance? What makes a word English? English speakers and writers use lots of words from other languages. Do we count burrito, bourgeois, habeas corpus, wanderlust, karate? Then there’s the debate about slang and jargon. How long must a term be in popular use before it is considered a “real” word? What about proper names? 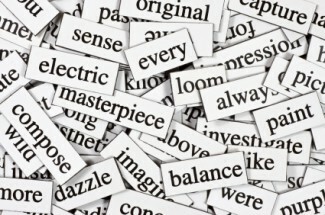 Should Edward, Lincoln, Chicago be considered words? What about foreign places and names? Should or shouldn’t Bangladesh, Argentina, and Moscow be considered English words? With these significant complexities taken into consideration, sources will put the number of English words at anywhere from a quarter million to two million. Take your pick. Sign up today for a WriteAtHome tutorial writing course. Improve your writing and get ready for writing at the college level.